Forget the busiest shopping day of the year, it seemed folks decided to head to the skate parks instead. The parks were packed with all sorts of round wheel enthusiasts the day after Thanksgiving. How do we know? Well we went to all five of the, soon-to-be nineteen, Portland skate parks. With MC at the wheel, and yours truly in the navigator seat, we managed to skate Glenhaven, Ed Benedict, Gabriel Park, Holly Farm and Pier Park. Total elapsed time, approximately four hours plus an hour-or-so for post session brews. 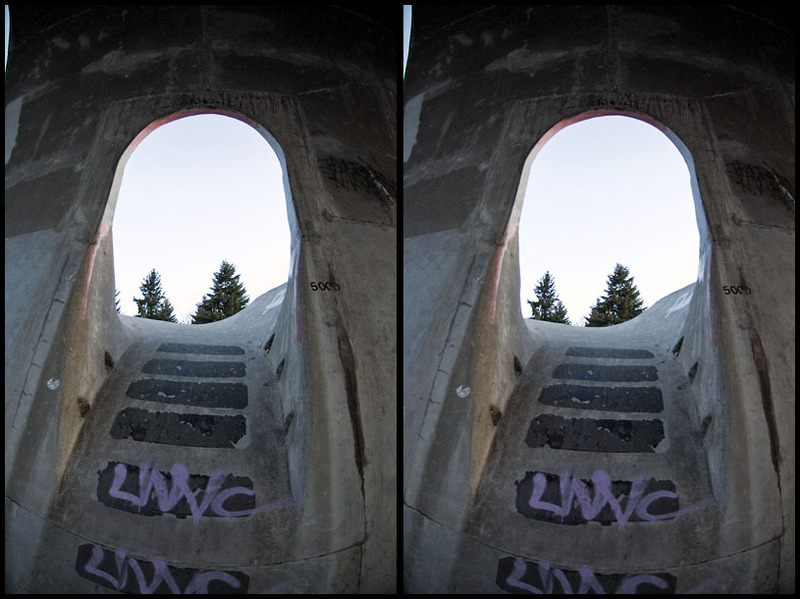 Check out a larger version of the image above along with some 3D cross-eyed stereo pairs of Pier Park, our last and favorite stop on the mini-tour. Awsome, we went to Gabriel but it was packed, so we settled in over at Holly farm for abit. followed it up with some beers and burritos at laughing Planet, was a nice day. I skated with you guys a bunch when i lived in Oregon (now live in Maui with only one ok park)and it gets me so pumped to see you guys charging every moment you get . Thank you for your updates and pics ,, there really the only thing that keeps me up to date with what is going on .